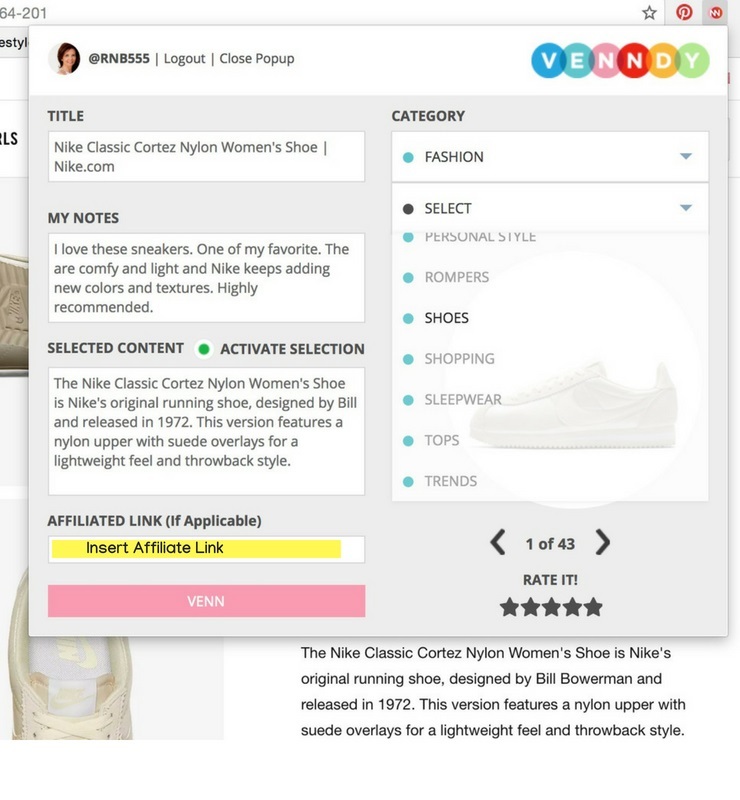 The VENNDY’s LinkCollector creates Item Pages for items you want to recommend and promote with or without affiliate links. Items can include your own blog, a product, a service, a place – anything! 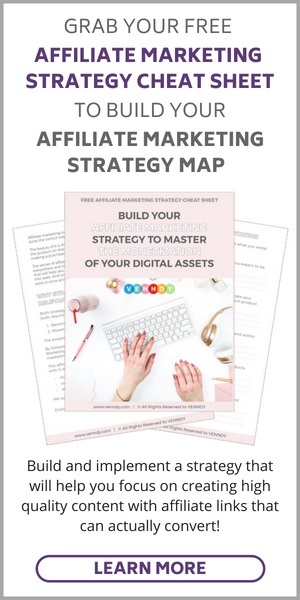 It will allow you to easily collect any content from the web and use it as needed, to create a practical, rich experience for your audience, with or without affiliate links. Here are a few examples of item pages and how you can then use them to promote your content. Each of the following links leads you to an item page. Some of the links below are affiliate links. This just mean that if you choose to make a purchase we may receive a small commission, at no extra cost to you. We are using these links to show case how you can use VENNDY’s carousels to use affiliate marketing. The URL (link) of the webpage where the item, place or service you want to share is from. Users will be directed to this URL whenever an affiliate link is not inserted. Your affiliate link you pulled using the Link Generator from the network and program you use. If there is no affiliate link inserted, a user clicking on the item will be directed to the URL, otherwise, it will be directed to the URL associated with the affiliate link. All the information on the Item Page, except for the URL, and at this point also the image you picked, can be edited by clicking the EDIT button. The Item pages can be shared on social media individually, but they are also the building blocks of Stories, which include a collection of items. You can learn how to build collections of items and then use them on your blog and social media, using other VENNDY’s tools HERE. To start using VENNDY, sign up to VENNDY, using your email and password. In order to upload items, you first need to download the VENNDY's LinkCollector (a Chrome extension), from the Google Store. It is free-for-life for those who download and start using it through the beta phase. Once downloaded, a VENN-It browser button (marked by NN) will show on your browser. The first time you use the extension click on it to login on initial use and use the same email and password you used for signing up to the VENNDY site. Just before you start uploading content, note that you can upload content to the SELECTED TEXT box from the website you’re on. To do that, make sure you tick the button next to the ACTIVATE SELECTION, to turn ON the green button. You may want to turn off the ACTIVATE SELECTION green button so that it won't highlight text unnecessarily, when you're not using the extension. 1. Go to any website on the web. It can be a product, place, hotel, restaurant, service…. Just make sure you are using deep links for the item you want to use. 2. In case you plan on using an affiliate link, always start by clicking on the Link Generator bookmarklet of the relevant affiliate network or program and choose to generate a text only link. 3. In case no SELECTED TEXT is needed, just start by clicking the VENN-It Icon. 4. The NN button turns on the LinkCollector. Paste the affiliate link you just copied. The pop-up window opening up will include a suggested TITLE and IMAGE from the page you're browsing. You can change the title (make sure you use the most relevant words that will help users find this item when using the "search" function); edit the SELECTED TEXT you just uploaded; add your own words under MY NOTES; Select a category, sub category and the image you wish to show on the Item Page. Rate the item and click the PINK VENN button. 5. Click the VENN button and send your Item to your VENNDY profile. That's it, your item was sent to your VENNDY account. You can choose to see it immediately (to edit or add to a Story) or you can see it by going to your My VENNDY (through the dropdown menu on the right, next to your profile image) and find it under the designated category. Have you missed on this order? No worries, you can always go back to the Item Page, click EDIT and change any of the information, add or change affiliate links, modify your notes, the title etc.